Family Play, Come and Stay Special! Buy 1-2-3 and get 1-2-3 FREE! Book the Family Play, Come and Stay Summer Special and get the exclusive Family Play Guide to the Greater Palm Springs Area. Enjoy all that the area has to offer, then rest and rejuvenate at this RV resort. This special rate is valid for RV sites and cottages. FREE water and electric no matter how long you stay. Enjoy five odorless hot mineral springs pools and spas with misters, an air-conditioned fitness center, free 18-hole mini golf course, six pickle ball courts, bocce and horseshoes, an on-site convenience store with snacks and drinks, and many other amenities. There is a fenced doggy park with lots of fun for the pets and a covered shelter. 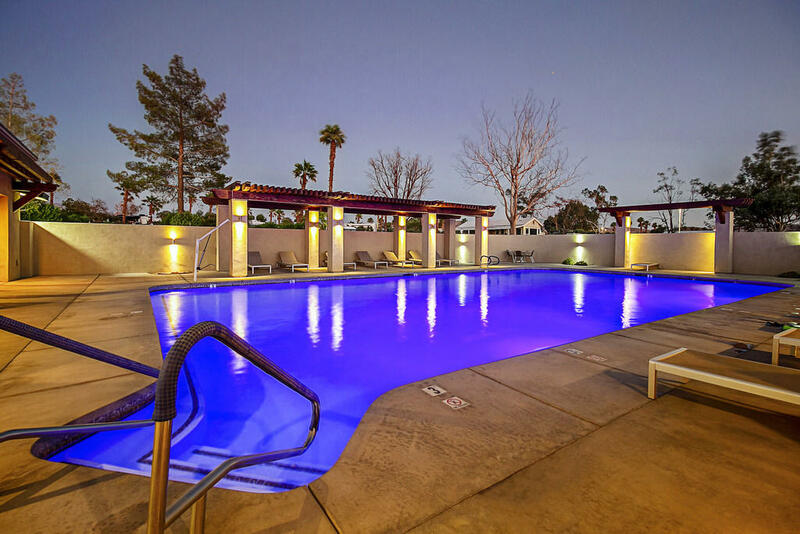 This gated community at Desert Edge is a relaxing respite after a busy day touring, hiking, or exploring. 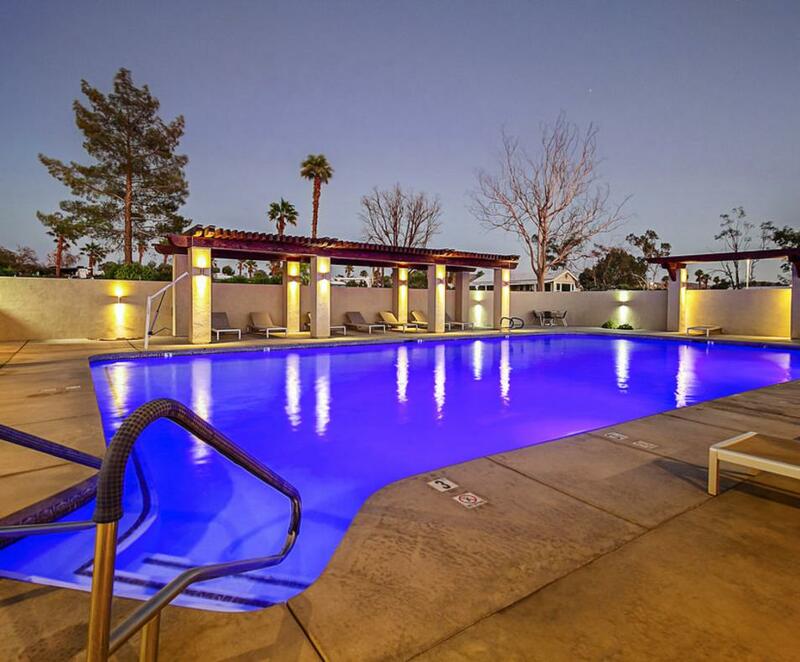 Enjoy the quiet nights under star-lit desert skies in the shadow of the San Jacinto Mountains.